The sufentanil 30 μg sublingual tablet (hereafter referred to as the sufentanil ST) is approved in the EU for acute moderate to severe pain in adults (Dzuveo™) and in the USA for acute pain severe enough to require an opioid analgesic and for which alternative treatments are inadequate (Dsuvia™). It is a single-strength tablet housed in a single-dose applicator (which may minimize the likelihood of dosing errors) and is strictly for use in medically supervised/monitored settings. It is administered by a healthcare professional and has a minimum re-dose interval of 1 h and no drug delivery setup requirements. In placebo-controlled or noncomparative phase 2 or 3 trials, the sufentanil ST provided effective analgesia for adults with moderate to severe acute pain due to surgery or trauma/injury, reducing the intensity of pain within 15–30 min after the first dose and maintaining analgesic benefit over the 2–24 h study periods. Such short-term use of the sufentanil ST was also generally well tolerated. Studies directly comparing the sufentanil ST with other opioids in terms of efficacy, tolerability, usability and cost effectiveness would be beneficial, as would analyses of its abuse potential, given sufentanil is considerably more potent than fentanyl or morphine. In the meantime, current data indicate that the sufentanil ST is a noninvasive, fast-acting, opioid formulation for managing moderate to severe acute pain in medically supervised/monitored settings that may be of particular use when oral or intravenous opioid analgesia is not possible/feasible. During the peer review process, the manufacturer of the sufentanil sublingual tablet was also offered an opportunity to review this article. Changes resulting from comments received were made on the basis of scientific and editorial merit. Pain Free Hospital. Guidelines for pain management in emergency & trauma department. http://www.moh.gov.my. Accessed 10 Jan 2019. Best Practice Advocacy Centre New Zealand. The principles of managing acute pain in primary care. 2018. https://bpac.org.nz/2018/acute-pain.aspx. Accessed 10 Jan 2019. World Health Organization. WHO’s cancer pain ladder for adults. 2015. http://www.who.int. Accessed 10 Jan 2019. European Medicines Agency. Dzuveo: EU summary of product characteristics. 2018. https://www.ema.europa.eu/. Accessed 25 Feb 2019. US Food and Drug Administration. Dsuvia (sufentanil sublingual tablet 30 mcg): US prescribing information. 2018. https://www.accessdata.fda.gov/. Accessed 25 Feb 2019. Miner JR, Melson TI, Leiman D, et al. 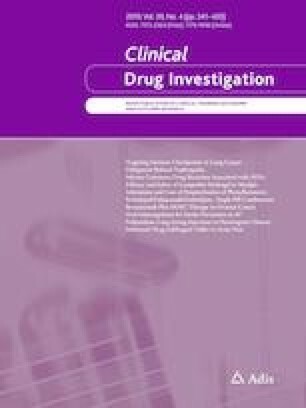 Pooled phase III safety analysis of sufentanil sublingual tablets for short-term treatment of moderate-to-severe acute pain. Pain Manag. 2019. https://doi.org/10.2217/pmt-2018-0090. Faculty of Pain Medicine. Opioids and acute pain management. 2019. https://www.rcoa.ac.uk/faculty-of-pain-medicine/. Accessed 10 Jan 2019. The College of Emergency Medicine. Best practice guideline. Management of pain in adults. 2014. https://www.rcem.ac.uk. Accessed 10 Jan 2019. Malek J, Sevcik P, et al. Postoperative pain management. 2017. https://www.wfsahq.org/components/com_virtual_library/media/125136f77e1b7daf7565bd6653026c35-Postoperative-Pain-Management-170518.pdf. Accessed 10 Jan 2019. Krans B. Should FDA have approved ‘super opioid’ that’s stronger than fentanyl? 2018. https://www.healthline.com/. Accessed 10 Jan 2019. Hlavinka E. AcelRx pushes safety analysis on powerful new opioid—but bulk of data uses unapproved sufentanil dosing [media release]. 8 Jan 2019. https://www.medpagetoday.com/painmanagement/painmanagement/77323.